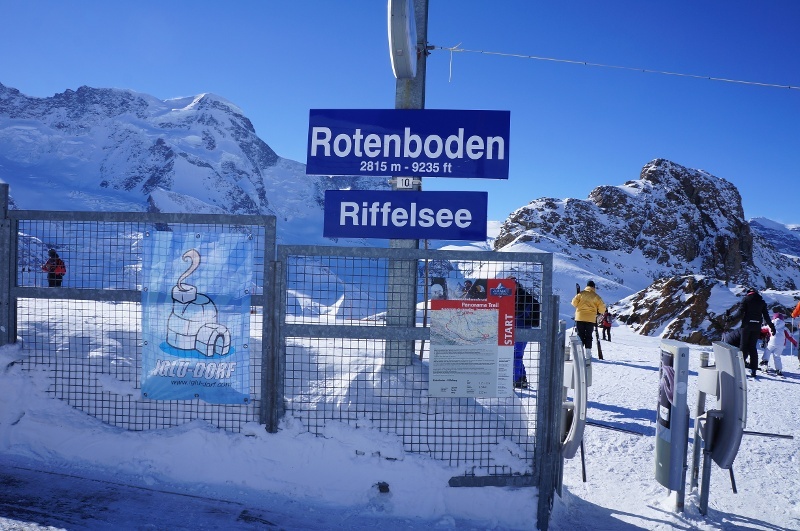 This snowshoe trail leads to some magically beautiful spots between Rotenboden and Riffelberg. Along the way it passes the frozen Riffelsee, hibernating under a thick blanket of snow. When the Riffelhorn casts its dark shadow across the Riffelsee, evening is still a long way off. But this is a magical moment in winter, known as the blue hour. A calmness descends on the mountain; the ski pistes are far off. 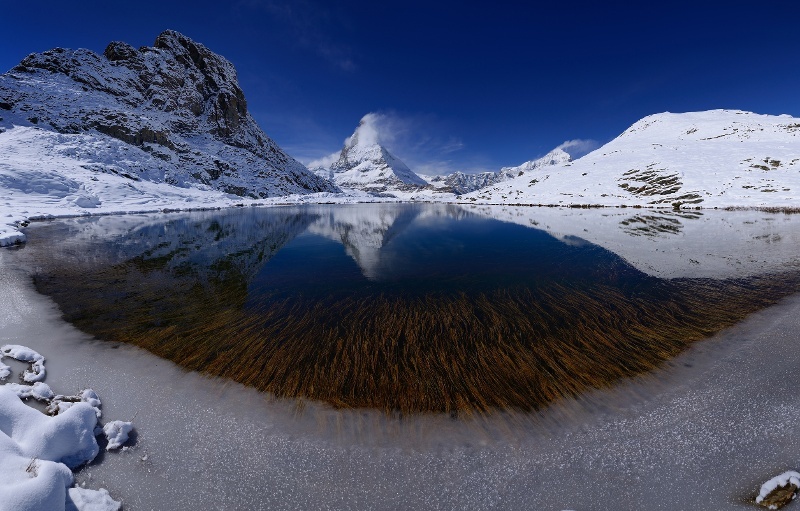 Take a deep breath and continue walking: soon the magnificent panorama reveals itself once again, with the Matterhorn, Obergabelhorn and Weisshorn. A winter’s day of fairy-tale beauty, sure to linger long in the memory. 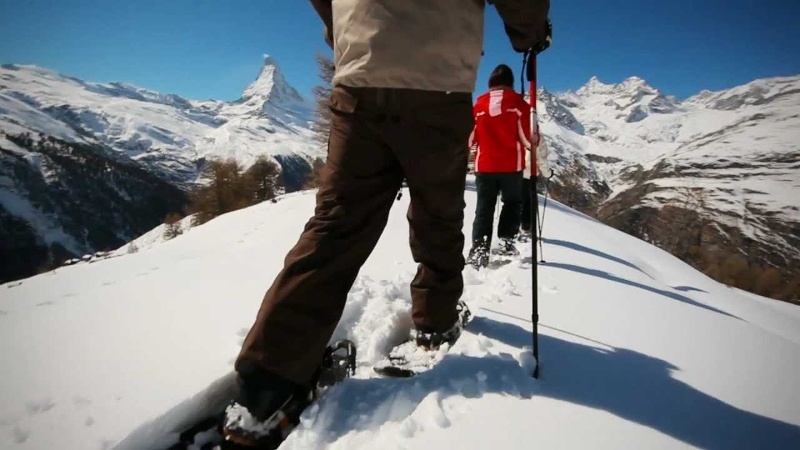 As the name already indicates, this trail offers one of the finest panoramas with a cast including the Matterhorn, Obergabelhorn, Zinalrothorn, Weisshorn and many more. So be sure to take along your camera. Do not leave the marked routes. 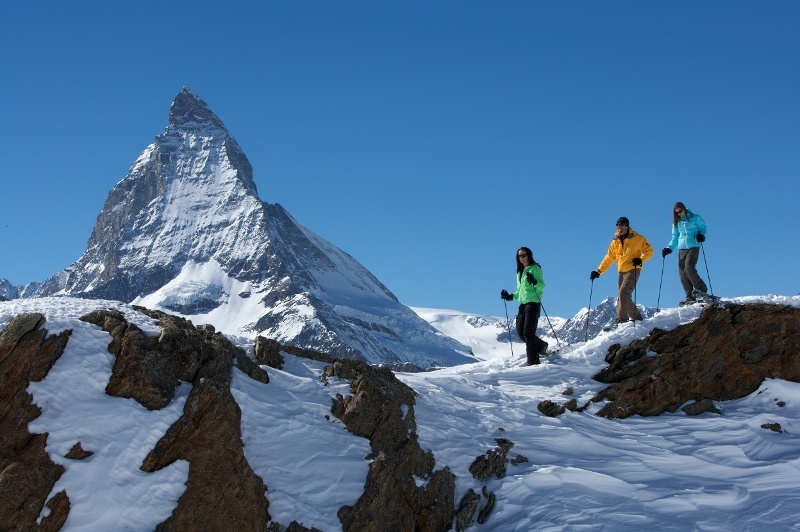 The snowshoe trails can be tackled without a mountain guide. Beware: they are not prepared in any way and are not controlled daily; nor are they secured from natural hazards such as avalanches or rockfalls. 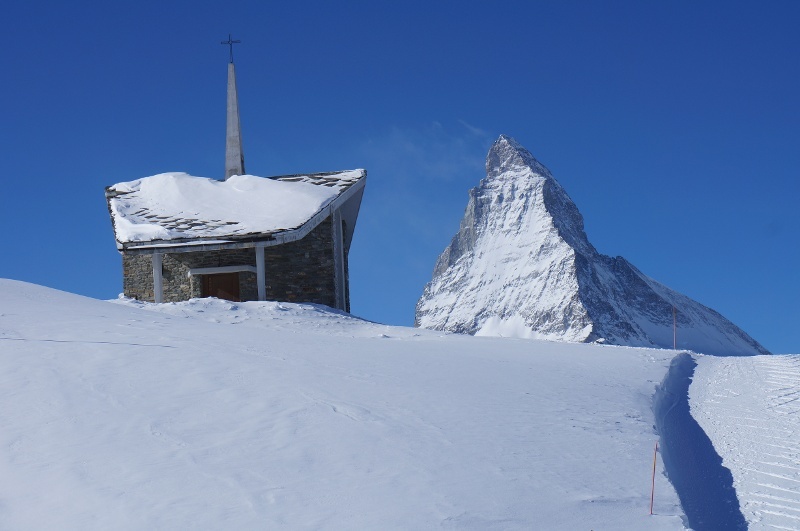 For safety, check the weather forecast and current avalanche bulletin. All snowshoeing is at one’s own risk.